The bags were packed with school supplies. 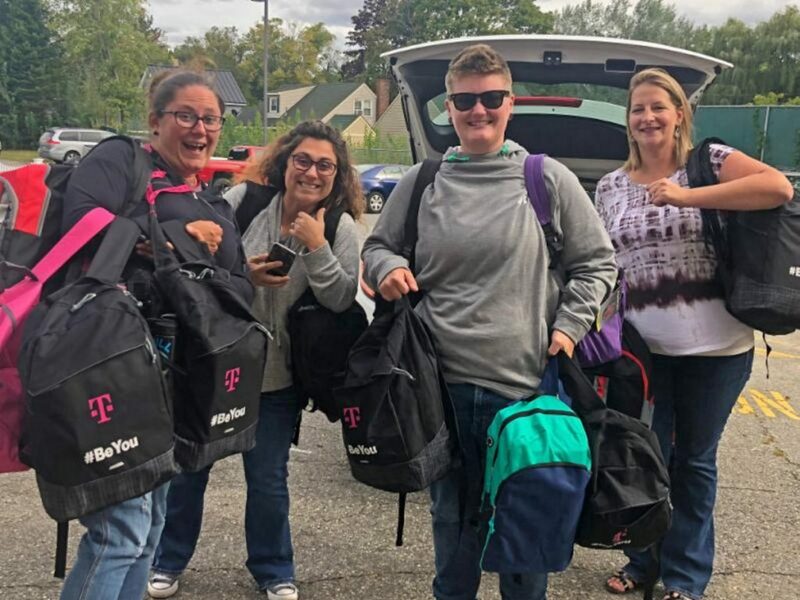 After School Program children recently watched four T-Mobile employees carry in armload after armload of backpacks filled with pencils, pens, crayons, markers, binders, notebooks, paper, rulers, scissors, lunch boxes and every other school supply imaginable — all for them. The company’s Diversity & Inclusion Team Leader, Nichole Butler, has been gathering the packs and supplies from employee donations for months.